It looks really good for retro gamers and those of us who fondly remember the colours and sounds of busy arcades of yesteryear. For me, it was the late 80's and early 90's when I spent 20p after 20p on Final Fight, Street Fighter 2 and anything else resembling a videogame. I've backed this project, with an eye on nabbing not only the book, but one of the restored, framed arcade marquee prints! You have 20 days to get involved! I'm getting a little addicted to pixel art. I've got another couple of pieces in the pipeline, which will hopefully be finished soon. The first is fairly small, but can't be finished until I receive a certain bead colour (damn my inadequate planning! ); the second is a much larger project involving a design I put together myself, and some custom wording. It's a present, and I'm really hoping it goes well. My plan is to start and complete it this weekend. Updates to follow. 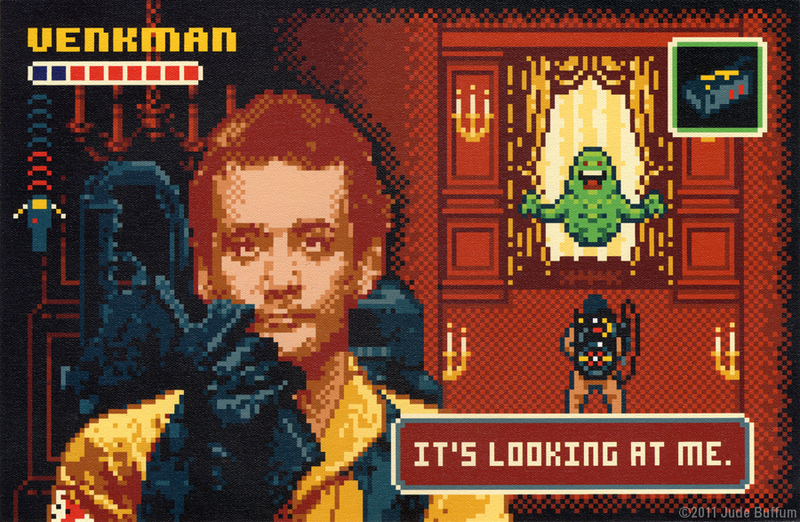 Until then, I thought I'd share some great pixel art sites I've found online. The first is a site by a fellow pixel fan, which collects art pieces from all over the Internet. Check out his site: http://8bitdecals.com/ and follow him on Twitter (@8bitdecals).